Saphera has enjoyed dancing her whole life. She had formal dance training in ballet, and also studied Irish step, modern, salsa and swing dancing. She has studied and practiced yoga since 1995. She also studies hoop dancing! In 2003 she saw one of Narah’s flyers and decided to try belly dance. She thought it would be good exercise and a fun form of dancing, but did not realize it would become a life long passion. In April of 2004 she did her first performance with her fellow classmates. Since then she has performed at several locations as well as in Narah’s Fire of the Soul tour. 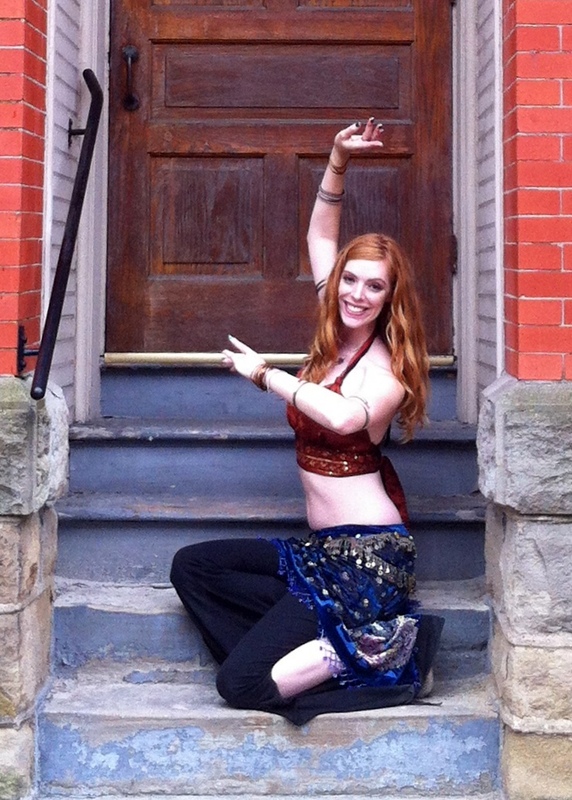 She started teaching belly dance in 2008. Because of her love of this dance form she wants everyone else to have the opportunity to experience the many amazing benefits it brings! To further her training she attends workshops with many world renowned dancers, studies through Datura Online, and was certified in level one of Sherena’s Hip Curve program.